Summary: Iruka's p.o.v. 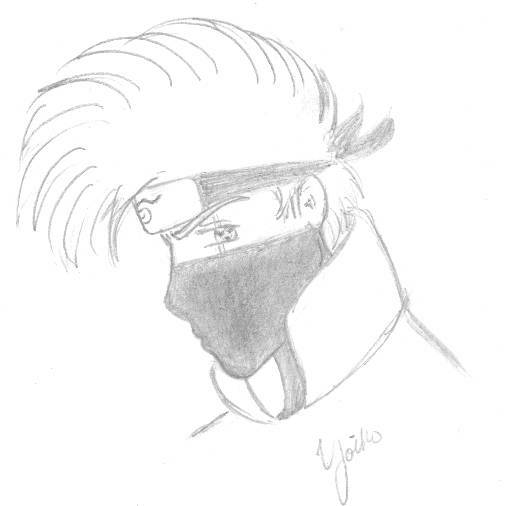 He reflects on life, innocence and Kakashi. It's written as a Naruto500 Livejournal challenge. Summary: Written as a Naruto 500 livejournal challenge. The theme is moonlight. You have two people thinking back on a similar moonlight night. Summary: Sasuke thinks about what he sees when he looks in a mirror. Written for a Naruto 500 LJ community. Summary: A Christmas giftfic for Paxnirvana. She wanted a nice fluffy Naruto tale involving Kakashi, Iruka and the nin-dogs. Summary: Another Naruto 500 challenge. The theme? Insomnia. Gaara and Naruto have a little talk about insomnia and other things. Summary: A Naruto fic based on manga episode 229. Naruto and Sasuke face off and there is one victor. Hear the thoughts of the defeated. (I've put this in miscellaneous but in the future I may write more Naruto). View my gift prize for writing this fic. Summary: Funny how you never notice things that should be obvious. Iruka and Kakashi fumble their way through as they figure out what they are to each other. Gift fic for Paxnirvana. Nami heads back to the ship when she sees something rather unexpected. Sequel to: Facing One's Dreams.